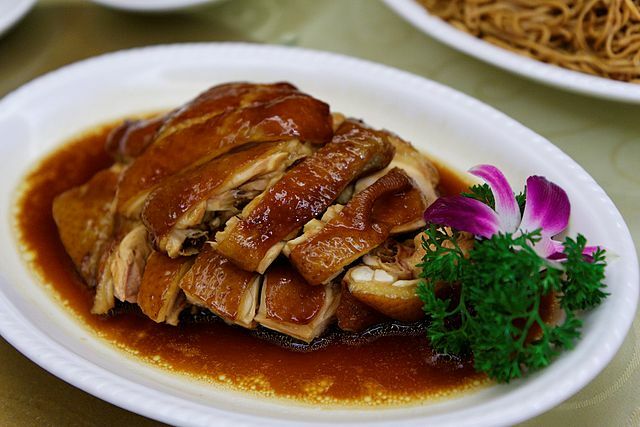 Soy sauce chicken is a staple chicken dish in Chinese cuisine that goes well with both rice and noodles. There’s even a Michelin-starred restaurant in Singapore famous for its soya sauce chicken—but no one has the time to queue for that after a long day at work! All you want is to just tuck into a good, healthy home cooked meal with your loved ones. Why not whip up your own version at home? It’s an easy and delicious home-cooked food, and everyone in the family will surely love it. This three-step soy sauce chicken recipe only takes you slightly less than an hour, and most of it is just waiting for the chicken to cook! Instead of using a whole chicken, get chicken thighs that are already chopped. You can also buy minced ginger and garlic, all ready to be used. Home-cooked food doesn’t have to be complicated. Home-cooked food ingredients—all available at Giant supermarket—will make prepping dishes like soy sauce chicken much faster, and make kitchen work less stressful. Make prepping easier by buying ingredients for home-cooked meals at your nearest Giant supermarket. Mix sugar, soy sauce, water, garlic, and ginger in a large stock pot and stir until sugar is dissolved. Place chicken in stock pot and bring to a boil. Using tongs, turn chicken in the pot every 5 minutes. Boil chicken for about 35 minutes. The chicken should not be pink at the bone; an instant-read thermometer inserted near the bone should read 165 degrees F (74 degrees C). The sauce mixture would have turned into a rich, brown glaze. Remove pot from heat and let cool 10 minutes. Serve soy sauce chicken garnished with chopped green onions. Tip: To make this soy sauce chicken recipe even healthier, remove chicken skin before cooking to reduce fat. Now you can enjoy this addictive steamed egg custard in the comfort of your home!